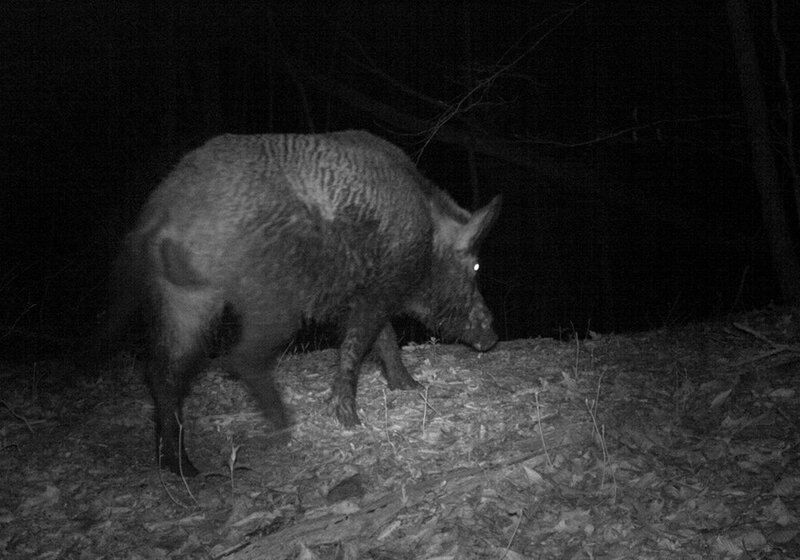 Invasive to North America, feral hogs thrive in a variety of habitats. Feral hogs are omnivores meaning they will consume everything ranging from grain to carrion (dead, decaying things). These animals create problems such as decreasing water quality, propagating exotic plants, increasing soil erosion, modifying nutrient cycles and damaging native plant species. Another common problem is the direct competition with native wildlife for resources, direct predation, and the spread of disease and parasites.